Ostomy deodorants are an important part of life for those who have ostomy bags, and who are trying to maintain their hygiene and health. Colostomy deodorant is available from many great brands, which you can find through Allegro Medical. Some of the options offered for colostomy deodorants and similar products include Stop Odor Plus, Devrom Capsules, M9 Odor Eliminator Spray, and Medi-Aire Biological Odor Eliminator. To learn more about all of the products offered, visit AllegroMedical.com. We provide you with great products and prices. See our Best Price Guarantee for more. Urolux Appliance Cleaner 16 fl. oz. Banish II Liquid Ostomy Deodorant Refillable Bottle 1.25 fl. oz. 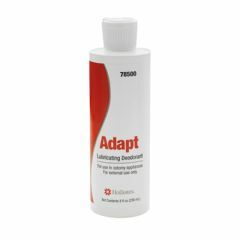 Securi-T Ostomy Deodorant 8 oz.